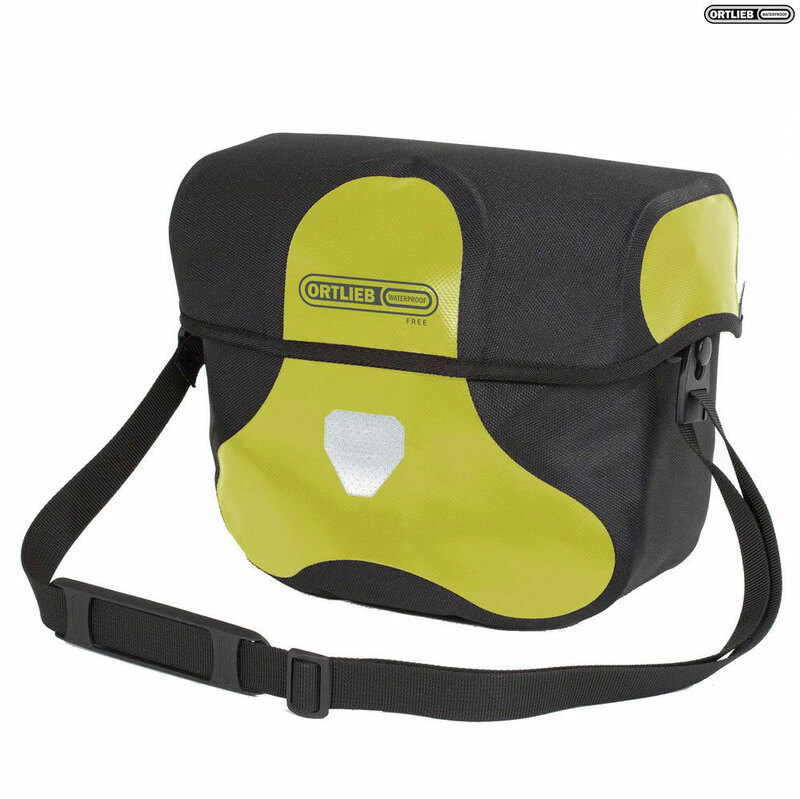 This handlebar bag comes with everything except the PVC! Ortlieb now offers the Ultimate6 M Free for all who love the canvas look, but value PVC-free material. Based on the Ortlieb Ultimate 6 Classic, which has proven its mettle for millions of owners, the newly develooped Ultimate 6 M Free is made of a polyurethane-coated polyester fabric that offers full waterproof qualities and always keps your valuables and provisions dry and protected. The magnetic flap closure is easy to operate with a single hand and can even be locked. And thanks to the detachable shoulder strap, you can simply take the Ultimate 6 M Free with you after parking your bike. With the help of an optional e-bike mounting set, you can attach the handlebar bag to your e-bike handlebar without having to shift the display. The Ultimate 6 M Free is the ideal supplement to the Free Line Back Roller and Sport Roller.